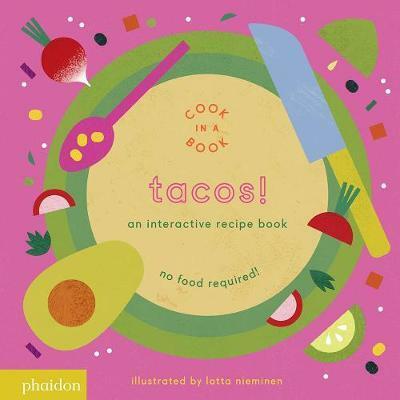 Full of bright colors, delicious recipes, and clever interactions, we absolutely love this board book series! Tissue paper for lettuce, yarn for cheese, gift bag filling for tomatoes, black buttons for black beans, yellow beads for corn, and cotton balls for sour cream! Use whatever you can find! If you don't have a million bits and bobs around like I do, you can just make your own with paper and crayons. Print out the die template below, color, cut, glue... and let the fun begin! Try to get all six ingredients into your taco first! For older kids, try adding a regular six sided die to the game for an extra challenge. Roll both dice to see how many of each topping goes in the taco! click on the image above to purchase your own copy!